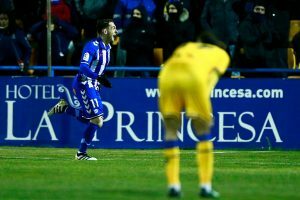 Leeds United have been linked (Goal) with Alaves winger Ibai Gomez for a while, and now they might have gotten a little boost if reports from Mundo Deportivo are to go by here. It is believed that the Spanish club is willing to consider offers way below their player’s release clause mark which is set at €10m. The winger is in the last six months of his contract, and there seems to be no sign of him extending his stay. Therefore Alaves are willing to sell Gomez for cheap instead of losing him for free next summer. Even with the previous price tag, we had maintained that the former Atheltic Bilbao player would be a decent addition to the squad and after this current development, we believe the Whites really need to go in hard for him this month. The winger was also part of the Athletic Bilbao squad which reached the Europa League final under Marcelo Bielsa where they eventually lost to Diego Simeone’s Atletico Madrid. 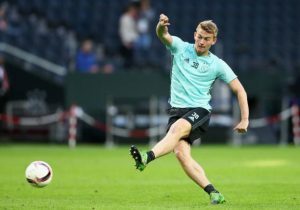 We think someone like Gomez can have an instant impact if he decides to make a switch this month as he must already be used to playing and training in Bielsa’s unique system. Leeds United needs to add another creative spark on the pitch after the departure of Samuel Saiz. At present, the likes of Jack Harrison and Ezgjan Alioski often lack the cutting edge in the final third, and it is always left to Pablo Hernandez to provide some end product. Hernandez is going to be 34 by next season, so the Whites need to keep an eye for a long-term replacement for him as well. The 29-year-old is a right winger, and either Alioski or Harrison now occupy that position as Bielsa has pushed Hernandez into playing in more central areas. There is no doubt in our mind that Gomez is going to be an upgrade over both of them and his technical ability on the ball should make him a big hit at Elland Road. To go with that, Gomez is also a mean set-piece taker, and he can add a few goals from there as well. With time running out for Alaves, they might have to accept whatever offer come there way, and if United play their cards right, we feel they can land him on a bargain. The Whites still top the table in the Championship and are in a good place at the moment in terms of moving to the Premier League. However, they have lost a bit of steam as the season has gone by and they should look to add reinforcements to bolster their chances further. Chelsea Linked With A Move For This English Forward: The Right Choice For The Pensioners? Mauricio Pellegrino Wants To Bring La Liga Star To Southampton: The Right Man At St Mary’s? Watford Clinch Deal For This La Liga Fullback: A Canny Move By Silva?